South America is pleasantly removed from the worries emanating from other parts of the world at this time and is every bit as exciting many of world’s most sought after locations. Vast Amazon jungles teaming with wildlife; incredible mountain ranges with some of the world’s most significant archaeological sites including ten UNESCO sites in Peru alone; vibrant, cosmopolitan cities like Rio de Janeiro and the vast glacial wilderness of Patagonia, South America has it all. By far the most popular of all our South American packages is the 22-day Rhumba tour. Designed with the first time visitor in mind, it is a distillation of our vast knowledge of the world’s fourth largest continent and all it has to offer. Almost infinitely variable, Rhumba can be modified to individual tastes and preferences. For example, enriching extensions are offered to Santiago and the scenic lakes district of Chile as well as Ecuador and the Galapagos. Think about stopovers in tropical Tahiti or mystic Easter Island. Beginning in Buenos Aires, you’ll move on to the magnificent Iguazu Falls, the world’s largest before spending four days in incomparable Rio de Janeiro. 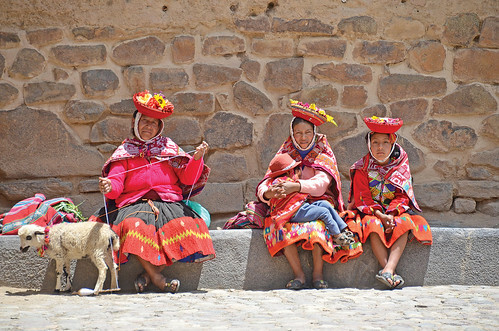 The superlatives continue when you fly to the world’s highest city, La Paz in Bolivia, one of the central points of the ancient Inca civilisation. Travel on to Huatajata, Puno, Cozco and the crowning jewel, Machu Pichu, the fabled “Lost City of the Incas” via train and even a hydrofoil across Lake Titicaca. Rhumba then moves on to Lima, the rich former Spanish colonial capital of Peru. From dizzying mountain-tops to the near-silent serenity of the Amazon jungles, the tour then heads by boat to Ceiba Tops, a new luxury resort located directly on the Amazon and just 40 kms from Iquitos. You’ll spend three days exploring the primary Amazonian jungle and visiting the local Yagua Indians as well as the famous former Franciscan mission town of Indiana. The tour winds down in Buenos Aires, leaving you enough time for some leisure and a scintillating Tango Show at the spectacular “La Ventana” nightclub.